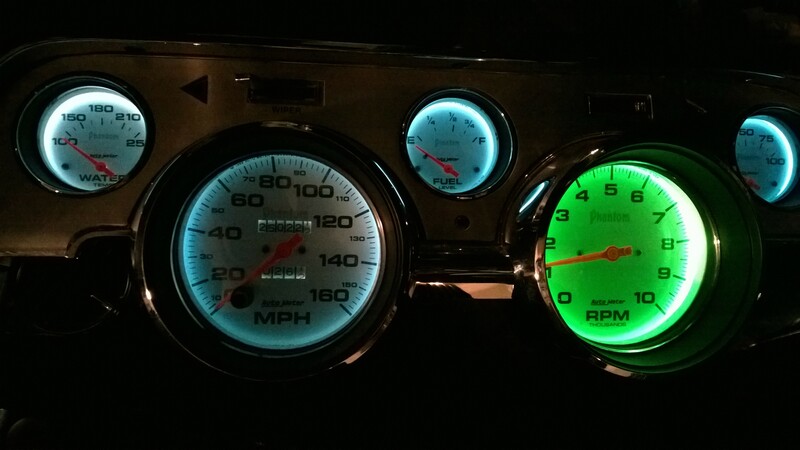 Anyone with an older car knows that the lighting in gauges leaves something to be desired. 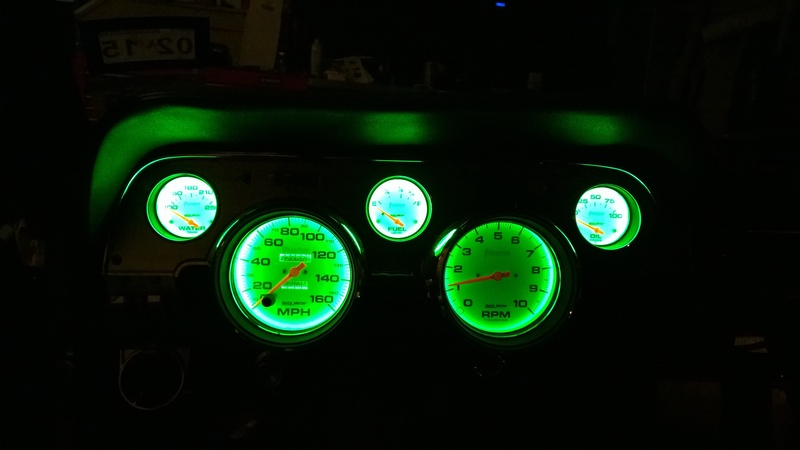 In my ’67, I’d updated the dash with Autometer gauges; however they were still lit with old incandescent bulbs which weren’t the most readable. They were ok, but not ideal and certainly not up to the lighting standards in a new car. Keep in mind that these were taken at dawn, so a lot more light was coming in than in the middle of the night. 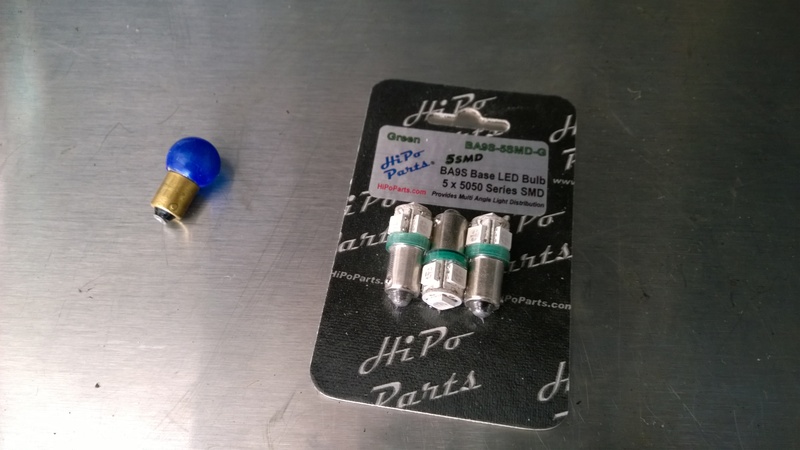 Searching for a replacement I ran across the tech articles at HiPo Parts. After some reading, I ended up selecting the Ultra Bright 5 SMD bulbs for my application. Rather than going with blue, I went back to green for a more classic look. They certainly look more high-tech than the old bulb with rubber hood! I think this picture speaks for itself in terms of how much brighter they are! Here’s the cluster with all of the bulbs installed. 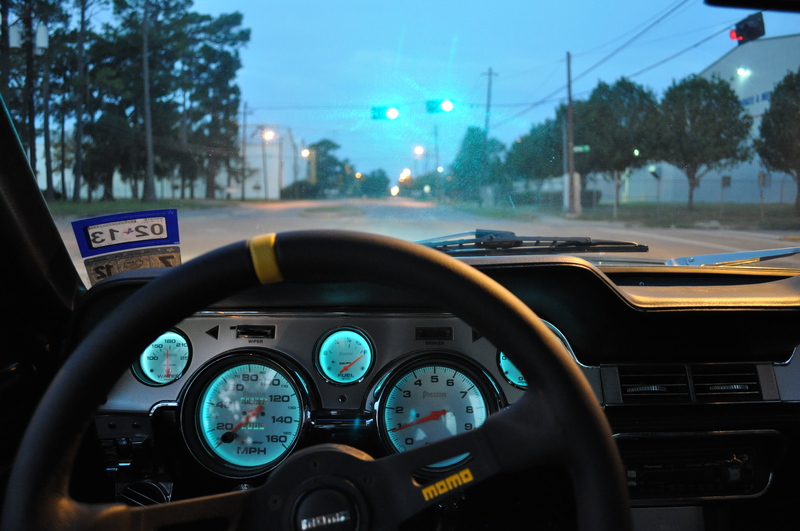 My camera had a little bit of an issue with the light coming off the smaller gauges, they’re very readable and don’t seem to be too bright despite what the picture seems to show. One drawback is that the dimmer switch doesn’t really work anymore (there is a very slight dimming effect, but not like what you’d get with an incandescent). Nonetheless, for about $7 per bulb (versus about $12 per bulb for the Autometer branded ones), I’ve got to say I’m extremely pleased!